For a retail business of almost any size, Point of Sale (POS) holds a great responsibility in various ways. From processing of the payment to tracking the inventory status, POS organizes several pieces of information to deliver smooth operations. To help the cause, QuickBooks POS is one of the most trusted software as it lends efficiency and simplicity of payment kiosk operations. Rising competition and availability of technologies have led the businesses to consider for POS solutions that go beyond the desktop. 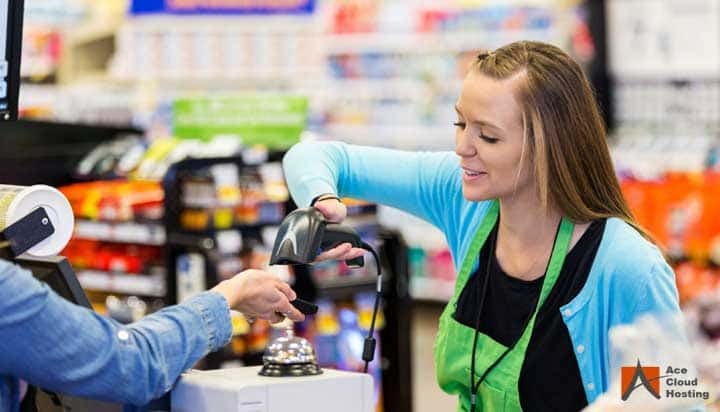 As mentioned above, POS software deals with the vast information that’s available with other software, such as – inventory tracker, payment processing, and confirmation solution, etc. Mostly the inventory isn’t located next to the retail store, which means data sharing isn’t taking place within the same device. Along with that, information collected needs to be processed to the accounting software as well. The challenge with integration between the applications is cross-platform functionalities. Cloud hosting addresses the issue by providing a common platform for all the applications. Moreover, scalability with the server resources ensures that even multiple applications work without any performance issue. Point of Sale software depends on a particular set of hardware, such as – cash drawer, pole display, scanner, printer and so on. Unfortunately, not much can be done about such necessary equipment. However, the cloud can still bring down some considerable capital expense by reducing the cost of other hardware, such as – servers and network cables. Switching to the cloud means that you do not require a local server as your applications and data are hosted on the cloud. It saves the real estate that otherwise would have been used for the local server room. Even if that is not enough, you escape the IT team and maintenance charges as well. Maintaining and keeping up with multiple retail stores is a daunting task, but only till you have switched to the cloud with your POS. QuickBooks POS on the cloud gives you centralized accessibility to every store and too with the latest information. Compared to the email-based report sharing, cloud hosting is faster, accurate and non-redundant. As all your payment kiosks are connected directly to the same server, you can log in and check the latest reports within the clicks. Depending on the hosting plan and service that you choose, you can allow/deny access to different users, such as – accountants, partners, etc. and even edit the accessibility permissions. Most users don’t acknowledge the importance of mobile accessibility of QuickBooks POS unless they need to check something urgently on it on their holiday. Also, some of the businesses models do not have a payment booth to charge the payments. Online portals or other such points of sales can require mobility for a successful sale. 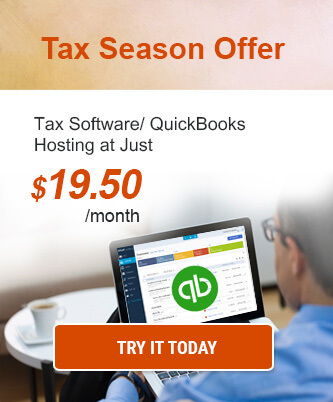 QuickBooks POS gives you the leverage to operate on such business models. Some of the hosting providers enable the accessibility of your QuickBooks POS on portable devices, such as – smartphone and laptops. Since there is no local installation required with the hosted application, checking or setting up the registers is almost instant. Cloud hosting of QuickBooks POS improves various facets of your sales and accounting operations. However, your choice of hosting provider is the real difference-maker. Cloud hosting market is already competitive, and the new ones are arriving at a rapid pace, irrespective of the fact that only a few booms while many busts. So, what should be your pick? QuickBooks POS hosting isn’t available with all hosting providers because the app requires some complex configurations to control the hardware set that functions with it. There are only limited hosting providers in the market, such as Ace Cloud Hosting, that are authorized to host for QuickBooks POS. Therefore, ensure that the hosting provider you go with has experience as well as expertise with the software. SLA, support availability, pricing, Intuit authorization, and data center choices are some of the indicative of their knowledge with QuickBooks POS hosting. A solutions consultant can help you understand various requirements and challenges that you may face depending on the business size and nature. By analyzing your requirements, a solutions consultant will be able to suggest the right server resources, add-ons, etc. for your POS needs. 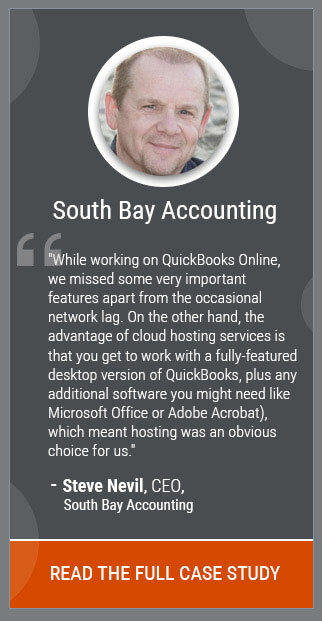 Best way to analyze the hosting environment is opting for a trial of QuickBooks POS hosting. A trusted cloud service provider is usually expected to offer the hosting services for free a limited period. During the trial period, you can check if the hosting standards are meeting the expectations or not. Go with the complete solutions once you are satisfied with the trial services.